Around the world there are hundreds of thousands of groups and organisations who have social justice at the heart of their objectives, from large international organisations to small local community groups. Imagine if the millions of members of these organisations recognised their shared objectives, and began to connect and work together on a local level to take real, meaningful action starting in their own communities. By joining this network you will connect with other conscious changemakers throughout your local community who share your desire to take positive action and create a better future. Through the geographical focus of the platform, users are encouraged to find other conscious, awakened individuals in their local area and, via the messaging tools provided, connect and form empowering, offline connections which in turn will enable collaboration and positive community action. 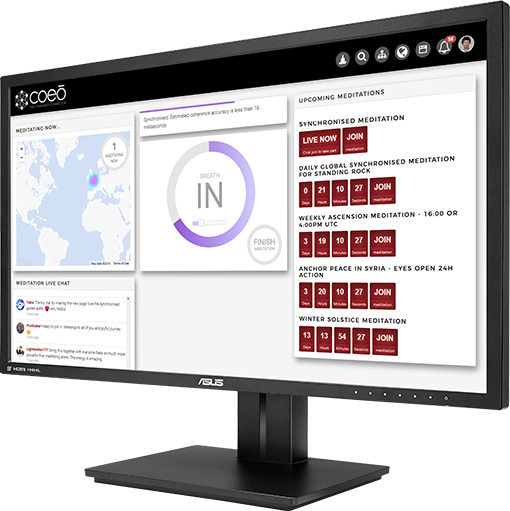 Coeō is a unique platform for topic focused, global collaboration. Cross referencing online discussion between many networked sites enables a unique, topic based and grassroots collaboration between movements. Coeō has brought together a unique and growing network of movements, creating much-needed unity. Thanks to Coeō, members from a growing number of groups such as Ubuntu Planet, The Full Circle Project, Prepare for Change, The Freedom Cell Network and The Conscious Media Coalition are coming together, connecting and collaborating. The local connections made between members of these varied groups is enabling greater collaborative action at a grassroots level. 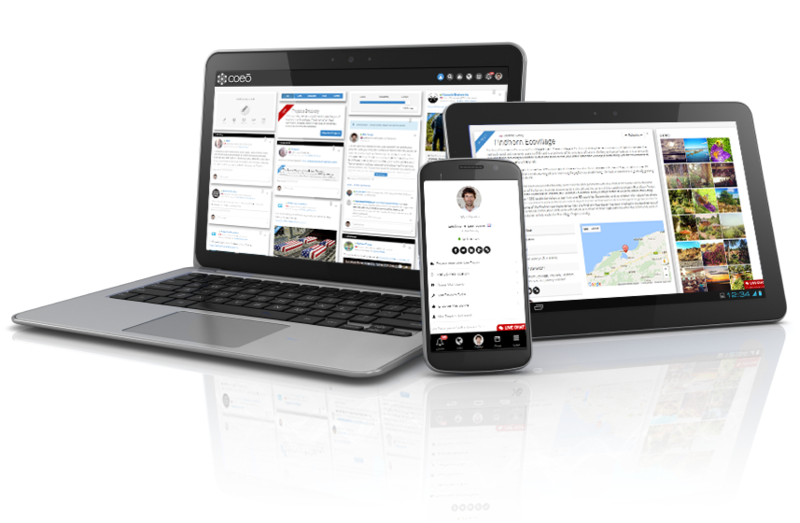 Coeō allows members to organise meetups and other local and global events. Coeō is building a geographically focussed directory of community projects, including eco-villages, community gardens, educational projects and much more. Coeō provides tools for offering and requesting help and resources, promoting and enabling the concepts of gift/contributionism economies. Coeō is also developing a number of unique tools and apps such as the new Global Sychronized Meditation app. "For the past 15 years I have worked as a website developer, and during those years I have spent much of my time and attention on a path seeking truth. I have come to understand that only by raising our collective consciousness can we come together to take the action required to free humanity from the slavery that we find ourselves in. I created Coeō as a tool to help unify the millions of individuals who are aware of the many wrongs in the world and understand the duty we have to do what is right. The intention of this website is simply to help raise our collective consciousness by encouraging cooperation and the sharing of knowledge, connecting like-minded individuals at a local level and enabling the lawful community based action needed to ensure a better future for all."